MADE FROM VERY DURABLE ALUMINIUM. 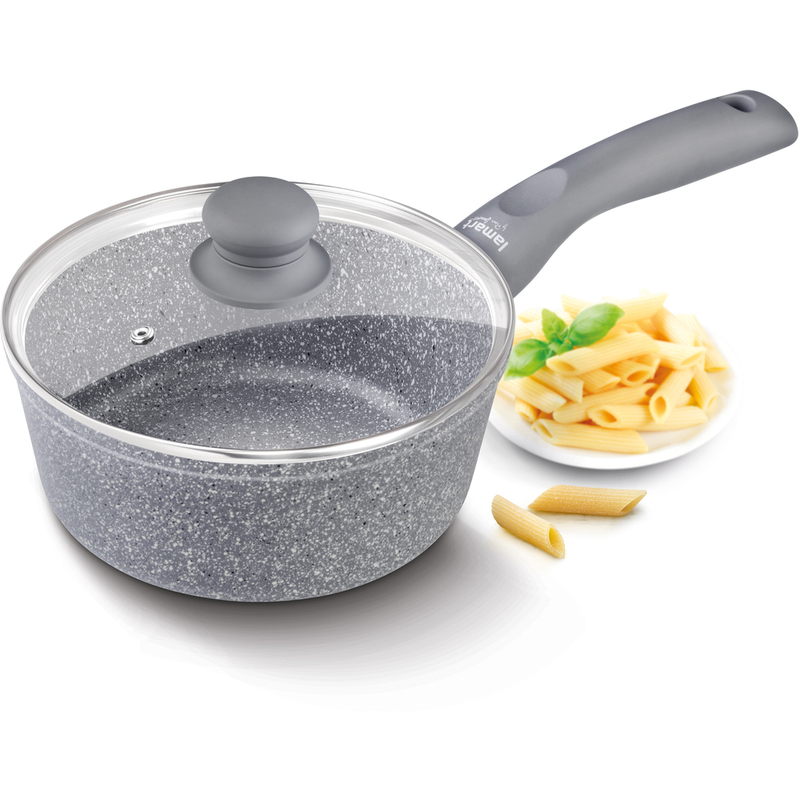 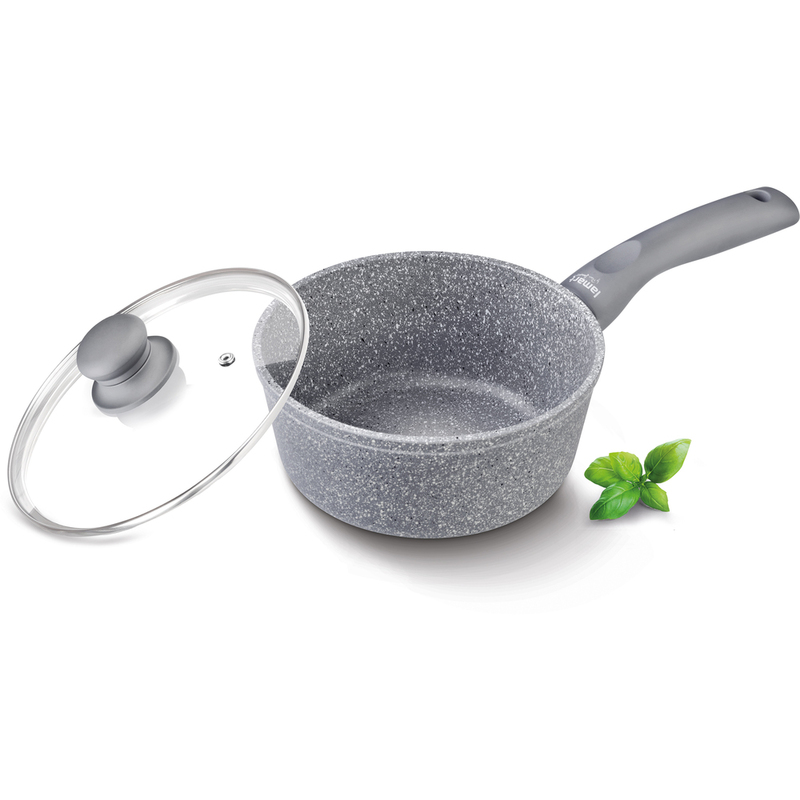 THE PAN HAS AN INNER MARBLE SURFACE THAT IS RESISTANT AGAINST ABRASION AND BAKING ON, WITH A THICK BASE AND A VERY ELEGANT SOFT HANDLE. THE NON-STICK MARBLE MATERIAL WITHOUT THE USE OF PFOA AND PTFE (NO TOXIC SUBSTANCES ARE EMITTED WHEN OVERHEATED) IS VERY HEAT RESISTANT, PREVENTS FOOD FROM BAKING ON, HEALTHY COOKING.